The largest ratings agency in China, Dagong has given a high A- investment rating to Russia’s Gazprombank which is intending to extend its ties to China and other countries in Asia. 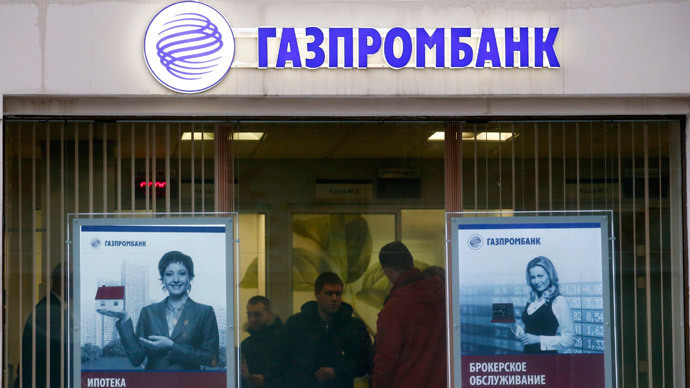 Dagong assigned the high A- credit rating to Gazprombank for foreign and local currencies, with a stable outlook. The rating is one notch below the sovereign rating of Russia, and at the same level as US. Gazprombank has said it is considering placing bonds on China’s domestic debt market. The so-called ‘Panda Bonds’ can be placed by foreign companies and banks only in case the borrower receives a rating from a Chinese rating agency. The Dagong agency says the bank has built a strong system of risk management and, given the weak dependence on debt markets, especially foreign ones; it has a high ability to repay the debt in national and foreign currencies. It also notes that Gazprombank has a significant market share in Russia, and also has a competitive advantage in relation to the process of the banking system’s centralization. The positive rating assessment by Dagong comes at the right time for the Russian banking sector as it is undergoing continuous pressure from Western sanctions which limit the ability to raise capital on international markets. Some of Russia’s biggest lenders have been reporting dramatic falls in their bottom line, with the net profit of VTB, Russia's second biggest lender, falling by more than 99 percent in 2014 to $13 million (0.8 billion rubles) against the record profits of $1.6 billion (101.5 billion rubles) in 2013.The bank’s head Andrey Kostin said last week the business model demonstrates stability amid the crisis the Russian economy is going through. Experts suggest the slowdown is short–lived and Russian banking should recover soon, largely thanks to the support of the monetary authorities. “Thedecisionby the Central Bank to lower the interest rate by 100 bps is a positive sign indicating that the worst is behind. Further monetary easing will allow Russian banks to improve their financials in the next few months,” Aleksandr Prosviryakov, Treasuries and Commodities Manager at PWC, told RT after Russia's key lender announced its decision. Gazprombank is ranked third on a list of Russia’s largest banks in terms of assets, with $77.2 billion (4.772 trillion rubles). Earlier in 2015 Gazprom and Gazprom Neft also received positive ratings from Dagong.